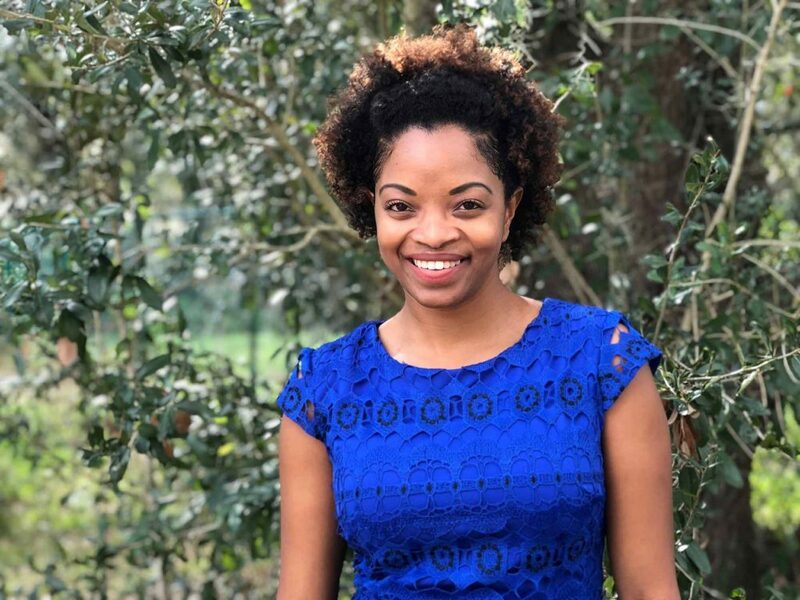 I’m Kerri-Anne Brown, founder of Healing with Wisdom. A place for couples who are ready to create new norms and take their relationship to new heights. As challenging as relationships can be, there’s no need to struggle on your own. Counseling helps couples navigate the challenges of the relationship world and offers a safe place for partners to get real about what they really want and need from their partnership and how to get it. Compassion - I believe in abundant compassion. Being in a committed relationship is hard work and no one has the manual that offers all the “how to” steps to navigate the trials of a relationship. I have realistic expectations for you and want you to feel the same. I will offer you the compassion and care you deserve. Support - Having the right support can go a long way. I will offer you the support and guidance you need to effectively address challenges you’re having in your life and in your relationship. Balance - While I’m sure your relationship is valuable to you, I understand that it may not be the only thing you’re juggling that demands your time and energy. I value balance and part of my work with you will help you understand how struggle in one area of life can impact other areas. Commitment – Because relationships take work, it requires consistent committed efforts. I believe that with commitment, we can do great work together and accomplish your goals. This online relationship assessment tool is based on 40 years of scientific research by Dr. John Gottman on why relationships fail or succeed. Are you ready to take a deeper look at your relationship’s strengths and challenges and see what the research recommends on how to improve your relationship? With the help of a qualified therapist, you can have the relationship you’ve been longing for. Contact me today to get started. 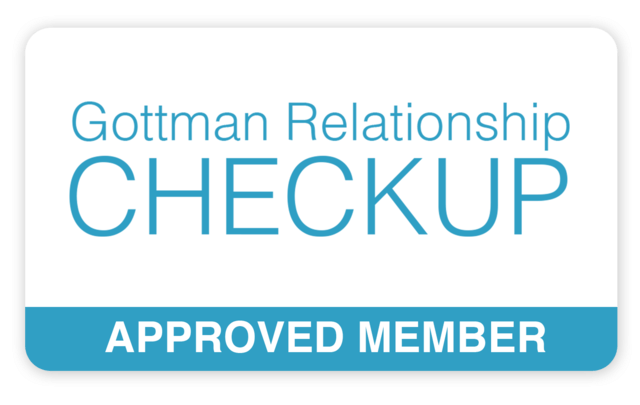 My work with couples is heavily influenced by The Gottman Method, a goal-oriented and scientifically-based approach built upon over 40 years of research. The effectiveness of this approach can, in-part, be attributed to the in-depth assessment of the relationship’s strengths and needs before treatment actually begins. Drs. 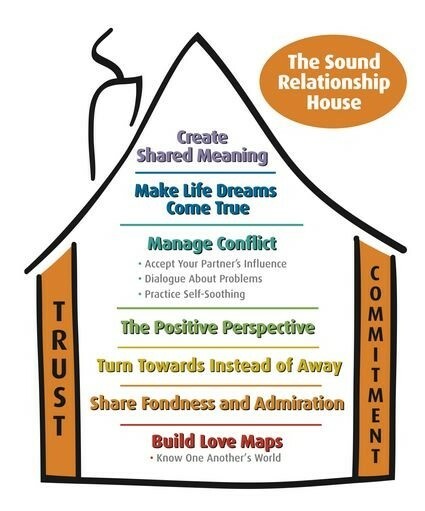 John and Julie Gottman, creators of the Gottman Method Couples Therapy, have shown how couples can accomplish this by paying attention to what they call the Sound Relationship House which outlines the nine components of healthy relationships. Share Fondness and Admiration: The antidote for contempt, this level focuses on the amount of affection and respect that’s expressed and felt within a relationship. Turn Towards: State your needs, be aware of bids for connection and respond to (turn towards) your partner. The small moments of everyday life are actually the building blocks of relationships. Manage Conflict: We use the term “manage” conflict rather than “resolve” conflict, because relationship conflict is natural and has functional, positive aspects. There is a critical difference in handling perpetual problems and solvable problems. Commitment: This means believing (and acting on the belief) that your relationship with this person is completely your lifelong journey, for better or for worse. So even when it gets worse, you both seek and work to improve it. Invest in the health of yourself and your relationship today by calling to schedule a complementary 15-minute phone consultation. I’d love to hear from you and what you most need support with.